I have spent the last two months in my Irish fieldsite trying to answer a simple question: what is a smartphone? Actually, it’s a fiendishly difficult question. Several older people started our discussion by insisting that the only things they use their phones for are voice calls and texting. Once we looked at the phone in more detail, it turned out that just the most common functions include WhatsApp, maps, voice calls, camera, alarm/time, Facebook, text messages, calendar, weather and news. Once we add a variety of more specialist apps such as sports, music, airlines, banks etc. we easily reach the most typical result which would be that an individual uses between twenty-five and thirty different functions of their smartphone. In the newspapers, the personalisation of the smartphone is understood as the advances in algorithms and artificial intelligence, which allow smartphones to learn from people and predict their behaviour. But, just as in our previous Why We Post project, for the ethnographer, these corporate developments pale into insignificance compared to the personalisation represented by the diversity of usage that will arise from the way an individual configures this multitude of apps. Indeed, it may be the personality of the user that comes across most. A man expresses a particular version of masculinity in demonstrating how all his usage is based on need and pragmatism. He mentions more than once how, now his daughter is no longer in Australia, he will never use Skype again. By contrast, a woman, aged 69, has every last detail of her life, from the steps involved in paying each particular type of bill, to the slide decks from workshops she has attended, all carefully classified in nested hierarchies of icons on her iPhone. About the only thing she doesn’t like is the clumsy and intrusive Siri. In both cases the smartphone effectively expresses their personality. Sometimes a particular activity dominates an individual’s phone life; a phone where everything is geared to a retirement spent playing and teaching the banjo, or a phone that contains seven apps all associated with sailing. It’s not that a woman is addicted to her phone, or even to YouTube per. se., it’s just that she can’t stop spending two hours a day following US politics on YouTube. More commonly the phone will revolve around three or four key activities and concerns such as a combination of family, sports, holidays, and photography. An equally important component of what makes the phone is people’s lack of knowledge. An older person is told to download an app, but she has never heard of Google Play and so attempts this action using an icon labelled ‘Downloads’. A man won’t buy a new Samsung Galaxy because it doesn’t have an inbuilt radio and he doesn’t know he can download radio as an app. Many users do not know the distinction between Wi-Fi and data that they have to pay for, so they won’t watch video while on Wi-Fi because they think it will cost them. Many can’t understand that a phone which ‘doesn’t work’, is not a broken phone, rather they just need to go about something in a different way. This is because the smartphone has so little in common with traditions of machines and tools. There is no manual they can actually use. Trying to work out precisely why one 80-year-old finds every little step impossible and another seems entirely comfortable in using these phones may give us many clues as to what, in effect, a smartphone is. 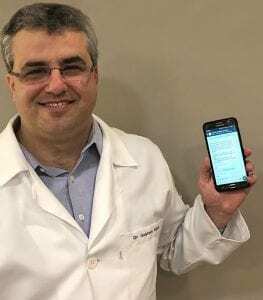 In the newspapers the smartphone appears as the constant development of new capacities – articles about the latest thing you can do with your smartphone are commonplace. For the ethnographer the smartphone is the myriad constellation of new actualities – we strive for an appreciation of what ordinary people create with or cannot understand about these devices. As the days go by, I am starting to become more familiar with my field site of Dar al Hawa in East Jerusalem. 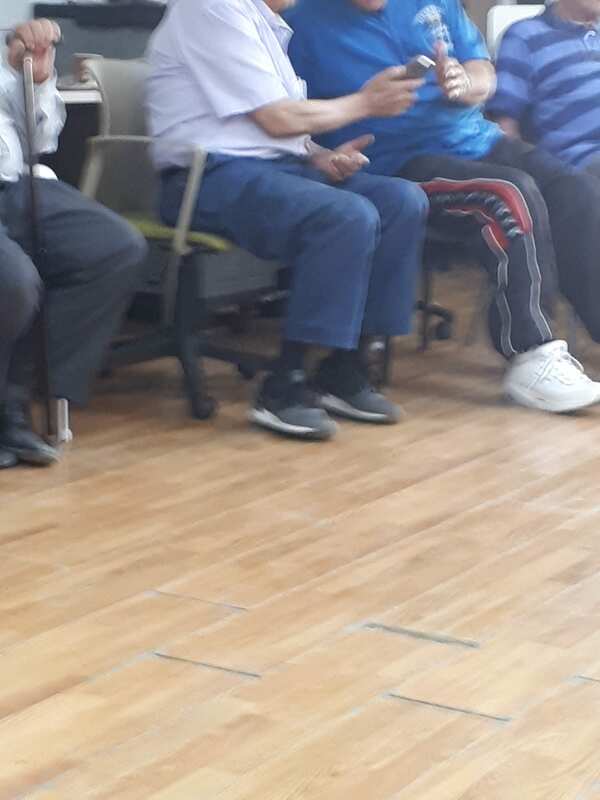 Recently, I joined the Elderly’s Club in the village community center. The club was opened in 1985, before the foundation of the community center. A group of 50-60 year olds meet here twice a week – on Sundays and Thursdays at 10am, for 2-3 hours of various activities – including lectures concerning culture, health, welfare, nutrition and religion. One of the most popular activities they have is a regular sports lesson for adults, usually while sitting on a chair. Most of the elderly people who come to the club were born and raised in Dar al Hawa. It is their hometown, in which they feel most comfortable and safe. In many cases, the houses people live in are the same in which they grew up, or moved into when they got married. This is especially the case for women, many of whom live close to their children’s families. So why should they join this club, rather than remaining within the comfort and safety of their own home and families? The act of leaving the security of an elder’s home is not simple, since it usually takes quite a lot of physical effort. Those who live nearby can easily walk, but others who live in more distant streets use a special transport system organized by the community center. Their presence is also depended on the weather; if it is too cold it is most likely that less people will show up. Some will call their friends to see if they are coming or not, but most of them will provide updates on their actions through the WhatsApp group of “the elderly club”, administrated by the club instructor. One reason this club is succeeding in retaining its members is that it has tried not to impose rules on its participants. This is important in respecting the seniority of older people. As such, each person can come and go as she/he wishes; they just need to be friendly to each other and quiet during a lecture or class. Being quiet does not always come easily however, as they seem to enjoy their conversations. The majority of the people who attend the club are women. In the exercise class, the women sit on sofas close to the wall, while the men sit at the front table. Over time, individual women will develop particular roles. One woman serves water, making sure no one will be thirsty. 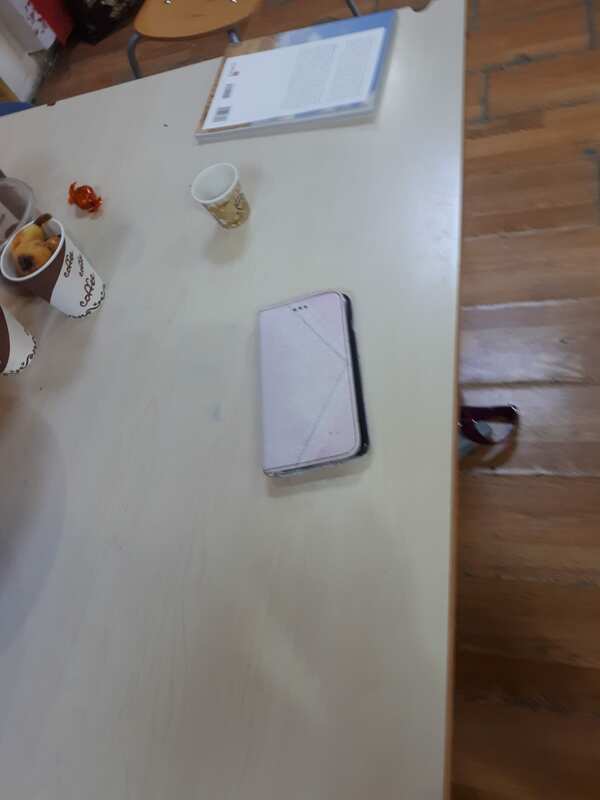 There is also the ‘joker’, who keeps everyone laughing during an activity, another walks in and out of the room as she takes various phones calls. 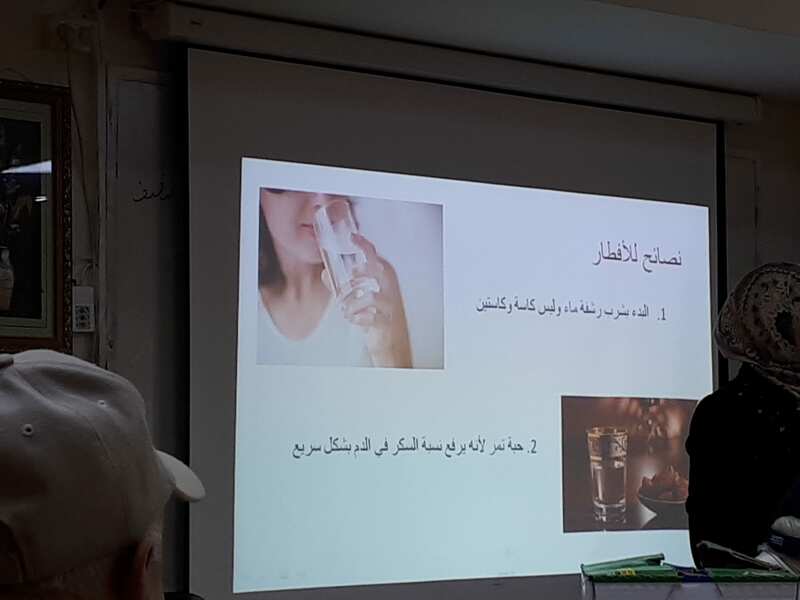 Mobile phones frequently go off during lectures, meetings and films, even during a religion lesson given by the local Imam. When asked who carries a mobile phone, everyone raised their hand. All but two were Smartphones. The most popular apps are WhatsApp Messenger and Imo – these two apps make it easier and cheaper for people here to speak with relatives and friends in Jordan, Kuwait and America. At first glance, it seems that despite their age, they handle their device quite well. On closer inspection, however, the problems become more apparent. It is often hard for individuals to hear the ringtones, or to make the swiping action needed to unlock and open their phones. Many of these people may not be aware of the presence of apps already on their phone, which could potentially help them with health issues such as exercising, Most of the people I speak with here do not know they can download an app for the local health clinics that can assist them in setting doctor appointments, renew subscriptions, and so on. Notably, every person I talked with about his or her smartphones told me that they are getting help and instructions from their grandchildren – they teach them how write, how to upload a post, how to call and even how to post on Facebook. In this manner, smartphones, from isolating people, may help to bring family members closer together, and to bridge a kind of digital divide that exists between the generations. At the same time, the interruptions created by phone calls cuts through the flow of the group’s activity, undermining its unity; – it literally pulls out the elderly from the room. In short, both the club and the smartphone work here at the intersection of individualism and sociality. The club is a social forum that helps counter isolation, but works by respecting the individual. 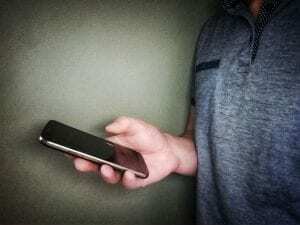 The phone is strongly associated with the individual, who may not be aware of many of its possibilities, but it has become a major link to the wider collective. These two aspects appear to work in tandem. Hence, a person who lacks the support of their family or community is also unlikely to learn to use their phone. 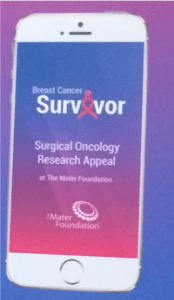 Breast Cancer Survivor App developed by Professor M. Kell, Mater Hospital, Dublin, Ireland. I recently came across an app for survivors of breast cancer. It allows its users to calculate their body-mass index, access nutritional advice, read recipes, set exercise goals and make donations towards cancer research. The app provides a fairly comprehensive guide to health management, but I wonder if it could offer more. Increasingly, the promise of health comes in a surprising variety of packages, and these often exceed a solitary pursuit of nutrition and exercise advice. The Irish Longitudinal Study on Ageing (TILDA) led by Trinity College Dublin examines the social, economic, and health circumstances of over 8,000 people aged 50 years and older, resident in Ireland. Researchers have found that instead of later years being a time of decline and dependency, older adults make a valuable contribution to society, with many active in the lives of their families and in their communities. The TILDA report suggests, for example, that volunteering is life enhancing as is regular social participation in sports and social clubs. Overall, it finds 60% of adults aged 54 years and over take part in active and social leisure activities at least once per week while 47% participated in at least one of these organised groups at least once per week. In my fieldwork site, there are groups that meet weekly to knit and chat while sharing coffee and cake. Other groups swim in the sea, go to church, go for bracing walks or gather to engage in litter picks. Many research participants talk of these activities as both building community and enhancing health, activities that are usually moderated through smartphone apps. Some activities that do not seem, on first glance, to be related to health come to be framed as such. For example, one participant in a craft group shared a post called ‘The Health Benefits of Knitting’ (Brody 2016) which argued that the repetitive work of knitting reduces the stress hormone cortisol. Are people joining these groups for purposes of health or fun or ‘community-building’ or for other reasons altogether? Are these distinctions blurred or even relevant for participants? Similarly, WhatsApp is integral to the moderation of these groups, not only in how groups are made but in the types of sociality that they engender, such as in the frequency of online interactions. Continuous online conversations that research participants have on WhatsApp can be experienced as a delight or disappointment, but either way have been described to me as new. These are some of the issues that I’m pursuing in my on-going research. Recently, the smartphone app Kuaishou emerged from China’s cutthroat online entertainment market with more than 400 million registered users and an estimated worth of some two billion USD. It is now the fourth largest social media platform in the country, after WeChat (an instant messaging, and e-commerce and payment app), QQ (instant messaging), and the Sina Weibo micro-blogging site. The majority of the content on Kuaishou is made up of self-harm videos with “comic” twists, rather like the American TV show “Jackass.” Viewers can watch daredevils do everything from swallowing lightbulbs to lighting firecrackers under their own backsides. Those taking part are almost all from smaller, third-tier cities or rural-urban fringe zones. They seek internet stardom by harming their bodies in unconventional ways. In China’s cosmopolitan cities, Internet celebrities are able to rake in tens of thousands of yuan every month by live-streaming themselves eating or shopping. Kuaishou users emulate their urban counterparts, hoping to making a fortune by becoming famous. However, for these people, without wider networks or resources, the results are generally disappointing, and mostly they remain mired in poverty. For rural China, kuaishou culture expresses, in a particularly eye-catching manner, both this population’s desire for achieving a better life, and more importantly, the cultural difficulties of being poor in contemporary China. Through these practices of bodily harm and self-insults, these people reveal, among other issues, just how unacceptable they find the condition of poverty.